Stratasan’s goal, using our data analytics tools and our Spark Services, is to give lost time back to marketers, strategic planners, business development teams, and other hospital decision makers whose goals are to strategically grow their hospitals through data-driven decisions. 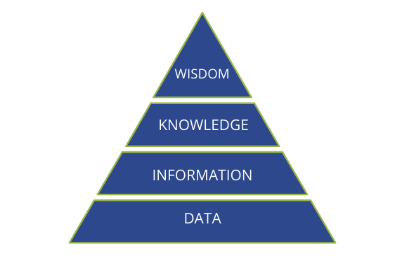 With a focus on moving clients up the DIKW pyramid, encouraging a greater focus on knowledge and wisdom, we handle the legwork of collecting, extracting, and transforming raw data into user-friendly intelligence. Taking this arduous and time-consuming task off the plate of our partners provides opportunity for focus on the more important job of using intelligence gathered from the data to make informed decisions around growth. Often, hospitals and health systems gather and clean medicare and state data themselves. Hospitals purchase data sets from their respective state hospital associations or other data vendors. Once they receive this data they are often confronted with the difficult task of refining the data themselves. This is a challenging and time-consuming task due to the amount of technical work it takes to make the data actionable. Individual hospitals can spend anywhere from 6 days to 2 weeks to process this data, depending on the number of dedicated resources to completing the task, and this is done multiple times a year. At Stratasan we ask, is this the best and most efficient use of their time? Stratasan has developed a streamlined method for transforming data into actionable intelligence, which is our Data Processing Service. When a hospital or health system partners with Stratasan, the hospital consults with Stratasan’s data team to ensure the data they need is indeed available. Our expert team of data wranglers enables our clients to make high-level decisions with the data as opposed to being mired in complex data mining. Additionally, our quality assurance procedures find discrepancies, flag questionable data inputs, and ensure data is current. Data Receipt: There are a few different ways Stratasan receives data from our clients. The facility/hospital system may order the data from their respective states. The facility may choose to upload data directly to us through our HIPAA compliant website. Clients can also send the data directly in an encrypted format via mail, though this is not our preferred method of transaction. The final way we receive data is by acquiring the credentials from the state to download the data on the client’s behalf. Check with your state, as some of them have a strict rule against this method of data delivery. Connect codes: We then connect specific codes (MS-DRG, ICD9, CPT, HCPCS) to descriptions for easier usability of the data within the Stratasan platforms. These fields are important for analysis. These fields include, but are not limited to; Admit Source, Admit Type, Discharge Status, Payer, and Race. Validate Formatting: We then validate the formatting of specific fields to ensure the correct connections between the codes and descriptions. Quality Assurance: Once the data has been extracted and transformed, it is sent through our quality assurance process. During quality assurance, we examine overall volume, facility discharges or visits, and product line comparisons. If there are issues with the data found in this process that cannot be justified using notes provided by the state, it is flagged and investigated. Added Value: We provide additional value on top of the data, making it more useful to you as you draw insights from it. Go Live: The data is then approved and made “live” for users once the quality assurance process has completed. The time savings and quality assurance that come with a Stratasan partnership can open the door for a more strategic use of strategic planning, marketing, and business development endeavors. When internal time is spent in data analysis, strategic growth opportunities are missed. By working with an outside team who specializes in collecting and transforming data, internal teams can focus on more critical strategic decisions leading to overall system-wide growth. If you need help improving your data process or want to learn how to properly use your data to drive strategic growth, email us at sales@stratasan.com.